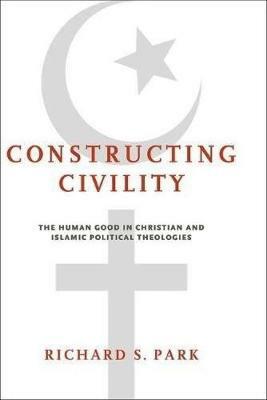 In Constructing Civility, Richard Park bridges Christian and Islamic political theologies on the basis of an Aristotelian ethics. He argues that modern secularism entails ideological commitments that can work against the promotion of public civility in pluralistic societies. A corrective outlook on public life and the public sphere is necessary, an outlook that aligns with and recovers the notion of the human good. Park develops a framework for a universally applicable public civility in multifaith and multicultural contexts by engaging the central concepts of the "image of God" (imago Dei) and "human nature" (fitra) in Roman Catholicism and Islam. The study begins with a critique of the social fragmentation and decline of public life found in modernity. Park's central contention is that the construction of public civility within Christian and Islamic political theologies is more promising and sustainable if it is reframed in terms of the human good rather than the common good. The book offers an illustration of the proposed framework of public civility in Mindanao, Philippines, an area that represents one of the longest-standing conflicts between Christian and Muslim communities. Park's sophisticated treatment brings together theology, philosophy, religious studies, intellectual history, and political theory, and will appeal to scholars in all of those fields.